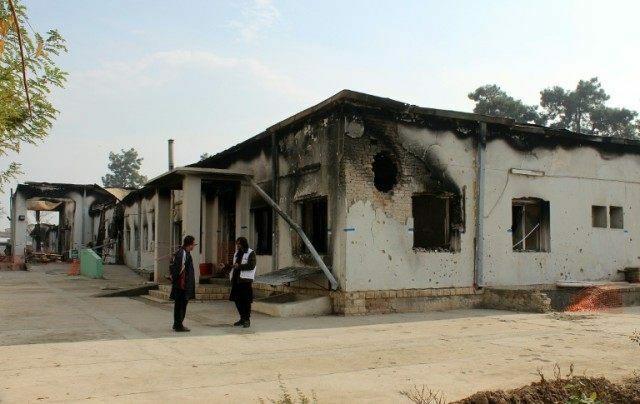 Washington (AFP) – US military personnel involved in a devastating air strike on a hospital run by Doctors Without Borders in Afghanistan have been or will be punished, officials said Thursday. The bombing last October of the MSF hospital in Kunduz — which came as NATO-backed Afghan forces clashed with insurgents for control of the northern provincial capital — left 42 people dead. The US military carried out an investigation and blamed human error. “I can tell you that those individuals most closely associated with the incident have been suspended from their duties and were referred for administrative action,” said Colonel Patrick Ryder, a spokesman for US Central Command. More than 10 military personnel face administrative action, another official said. He said this can range from ‘negative counseling’, or being told not to do something again, to a letter of reprimand, which generally blocks further promotion. Removal of command is also a possibility. Next week, the Pentagon is due to publish a version of its report on the attack. It will be redacted to remove classified material. President Barack Obama has apologized for the Kunduz attack and the Pentagon has said it will pay compensation to the families of those killed. Doctors Without Borders has appealed in vain for an international investigation of the air strike. It came shortly after the Taliban briefly seized Kunduz the previous month, in their biggest military victory since being ousted in the US invasion of Afghanistan in late 2001.